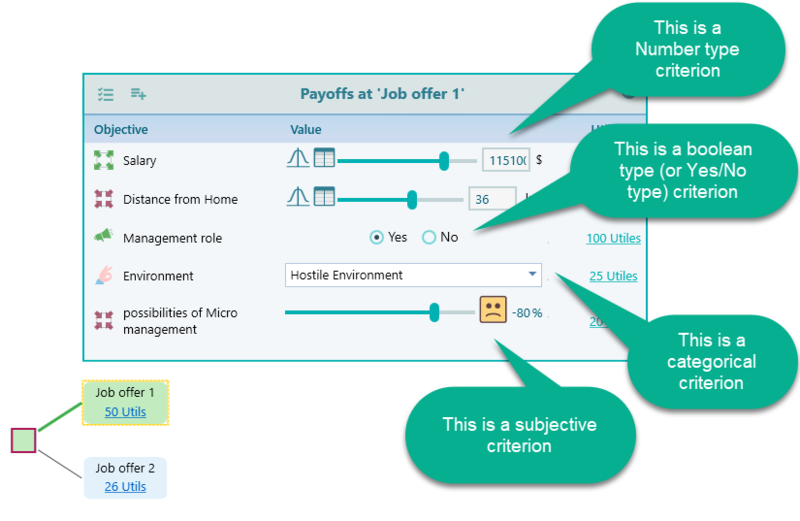 A unique feature of the SpiceLogic Decision Tree Software is that you can model your criterion with rich information like Subjective type, Boolean type, Number type, Monetary type, and Categorical type. Notice the following Payoff window for the decision tree as shown below. In order to get such user interface to set up your payoff, you need to tell the software about the data type of an objective when you model the objective. Please check the dedicated pages for each data type as listed here.